Everyone enjoys a good fairy-tale. Being Irish, I grew up with them and often heard tales of fairy forts and changelings and the consequences of interfering with either. Many cultures around the world believe in fairy abductions when a human child is replaced by a fairy. The theme of the swapped child is common in medieval literature and was often a way for people to explain children thought to be afflicted with unexplained diseases, disorders, or developmental disabilities. But changelings were not necessarily only children. There is a rather grisly tale which took place in Ireland in 1895. Bridget was born around 1870 in County Tipperary, Ireland. She married Michael Cleary, almost ten years her senior, but after the wedding she returned to her parents’ house, while Michael continued to work away from home as a cooper. Bridget’s independence grew. She was attractive, and forthright, with a reputation for a quick wit, and a direct gaze – none of which were common characteristics of young Irish Catholic women. Bridget was an accomplished seamstress and in addition to her income from sewing, she kept hens and sold their eggs. Following the death of her mother, the couple set up home with Bridget’s elderly father, Patrick Boland, in a house reputedly built on the site of a fairy ring fort. 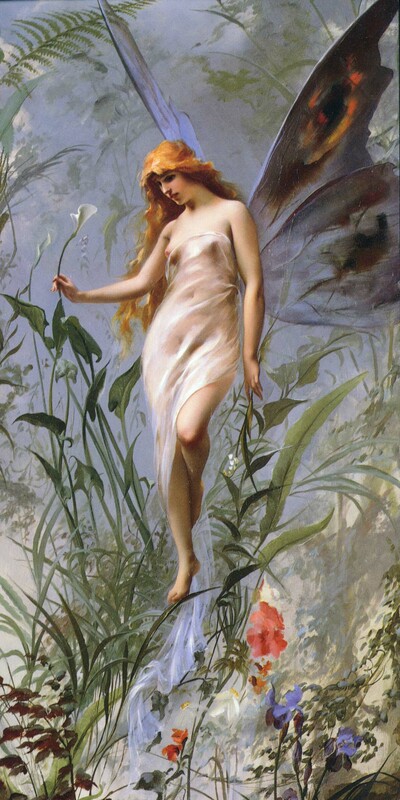 Soon Michael Cleary and Bridget’s uncle, Jack Dunne, a seanchai well versed in herb lore, began to circulate the story that Bridget had been taken by the fairies, and the woman in the bed was a changeling. Michael even claimed she was taller and finer than his wife! The next day, Thursday March 14, he went to a herbalist and bought herbs as a “fairy cure.” A traditional remedy for someone “taken” by fairies, was to boil specific herbs in milk. Michael dosed Bridget repeatedly that evening, but only by having his wife physically restrained by family members. Witnesses said she was also held over the fire and questioned rigorously as to whether she was really Bridget Cleary. Eventually she refused to answer any more questions and in a rage Michael flung her to the floor, and half strangling her, forced some bread and jam down her throat. He then stripped her down to her chemise, fetched a lighting stick out of the fire and held it to her forehead (a gesture meant to chase out the fairy). Her chemise caught fire and whether this was deliberate or not is unknown, but then he drenched Bridget in paraffin oil from a lamp, until she was consumed with flames. He stood over her and stopped the other members of the family from helping her. In the early hours of the following morning, Michael asked a relative to help bury Bridget’s twisted, and partially incinerated corpse. They wrapped the body in a sack and carried it to a boggy area about a quarter of a mile away. Michael threatened all of the witnesses but by the 16th March, rumours were beginning to circulate that Bridget was missing. Some time afterwards, it was reported to the local priest that Bridget had been burned to death by her husband and other family members. The priest went to the police. On the 22nd of March, after a week of speculation, newspaper reports, and intensive searching, the Royal Irish Constables discovered the body in its shallow grave. A coroner’s inquest the next day returned a verdict of death by burning. In the intervening time, Michael Cleary, in the company of his father-in-law and neighbours, spent three nights at the fairy fort at Kylenagranagh, convinced that he would see his wife emerge on a white horse, at which point he would cut her free, and rescue her from the fairies. The police arrested nine people, including Michael and Bridget’s family members, neighbours and friends, in connection with the murder. All nine were indicted on charges of “wounding”. Michael Cleary served 15 years for manslaughter after which he emigrated to Canada. It is debatable whether Michael actually believed her to be a fairy – many believe he concocted a “fairy defence” after he murdered his wife in a fit of rage, and he maintained until his death that he did not murder his wife. Her death and the publicity surrounding the trial were regarded as being politically significant at a time because Irish Home Rule was an active political issue in England. Press coverage of the Cleary case occurred in an atmosphere of debate over the Irish people’s ability to govern themselves and worries were expressed about the credulity and superstition of rural nationalist Catholics as a result. Unsurprisingly, Bridget’s murder has been the inspiration for many books, myths and plays. Previous Angel Meadow – Hell upon Earth! I’ve read this book a couple of times and loved it. It really is fascinating of the beliefs at the time and yet how the law took a different view. Not to mention that the beliefs might have been a convenient way to get rid of her. Fascinating. I couldn’t believe it when I first came across it. It’s not all that long ago either!